In navigation, a rhumb line is an arc crossing all meridians of longitude at the same angle, i.e. a path with constant bearing as measured relative to true or magnetic north. And we can thank the Portuguese mathematician Pedro Nunes for first discussing this in 1537. A rhumb line is also all 32 points on the compass. A rhumb line is also, according to my friend Ian, who captains ships around the world, the fastest way home to the bar! 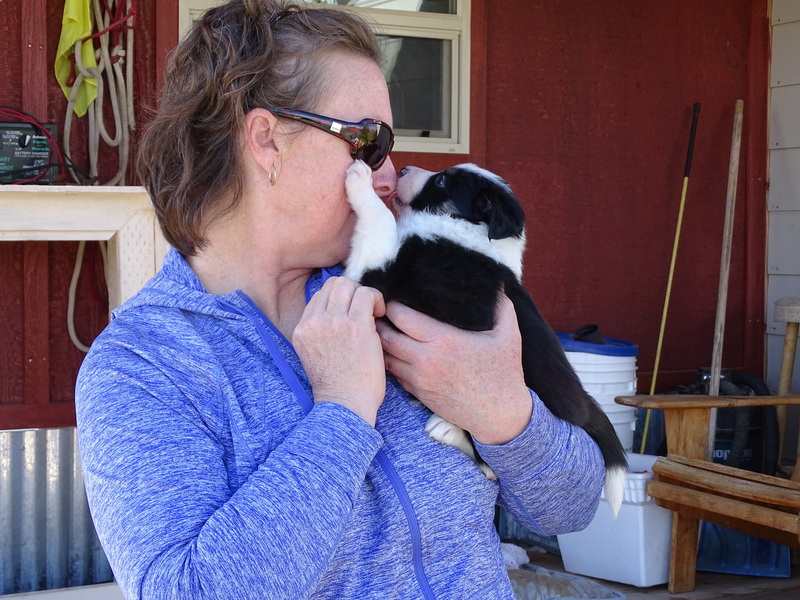 And Rhumb Line is our new Border Collie puppy! 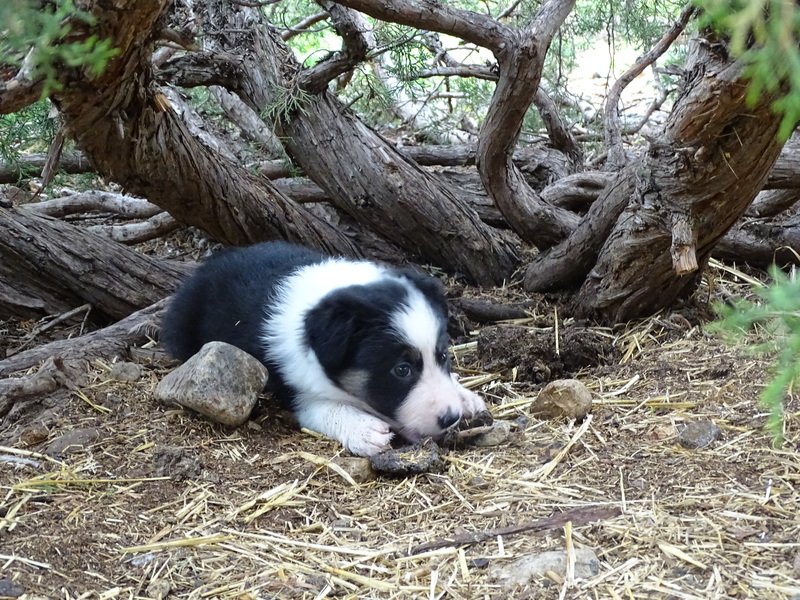 I received an e-mail from Story’s breeder, she mentioned that she had an exceptional litter on the ground, and did I want to come take a look. They were 4 weeks old at the time. 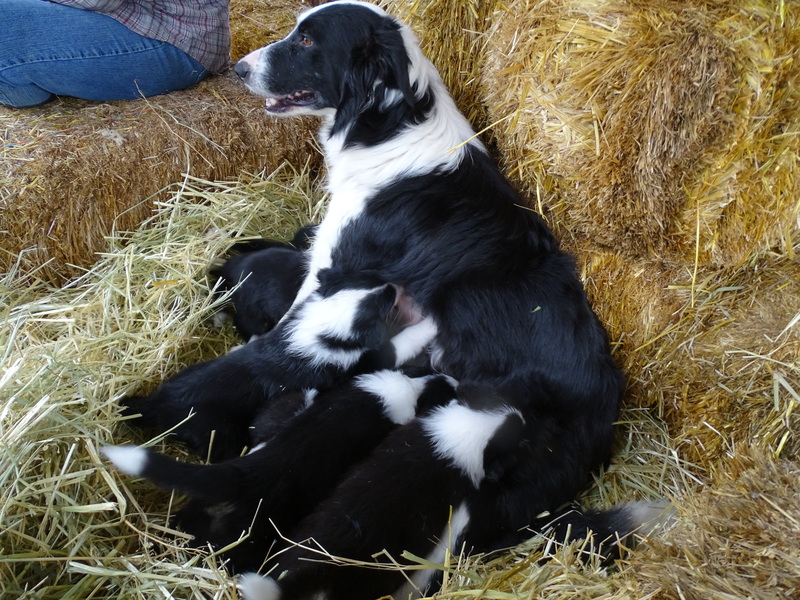 The Dam is Story’s sister Thistle (two years younger in a different litter), from the Ross line, which I love!!! So Rhumb Line is Story’s niece. The Sire, Glen, was flown over from Scotland at the end of 2014, and comes from Aled Owens lines. 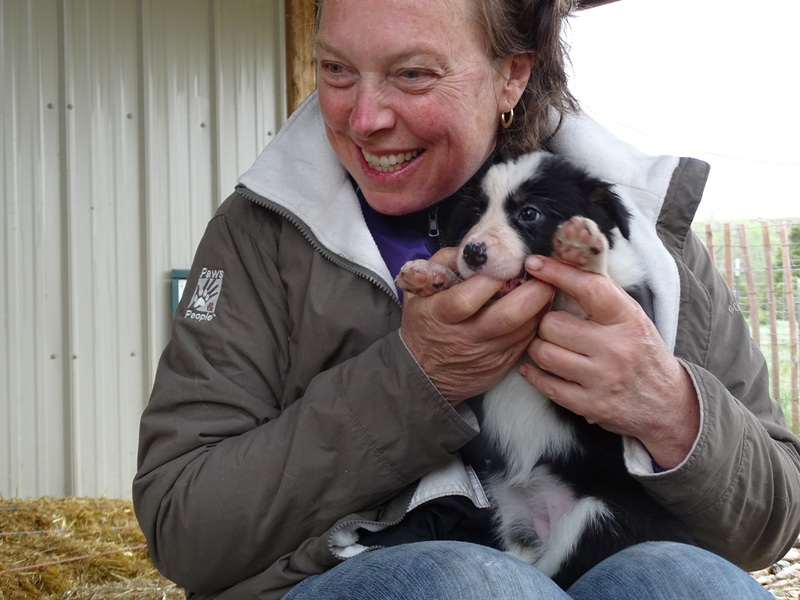 He is five years old and has a few International Stock Dog Trial Championships already! I wasn’t sure I wanted another puppy, my heart felt so broken after loosing my two Gran Dames in the past year. But when Rhumb Line put a paw on each one of my cheeks, licked my nose, and looked into my eyes, my heart felt purpose in that moment. 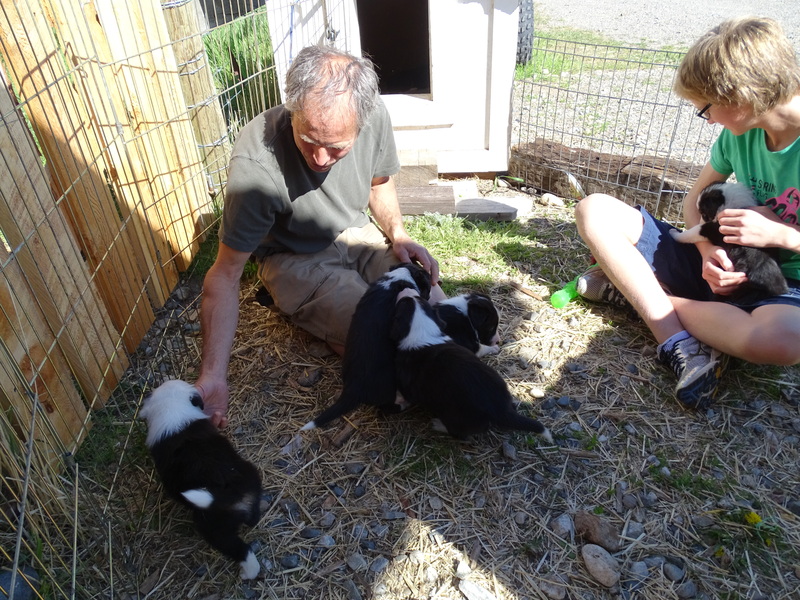 We went out each week to visit the litter, watch them grow, mature, change, and explore their world. 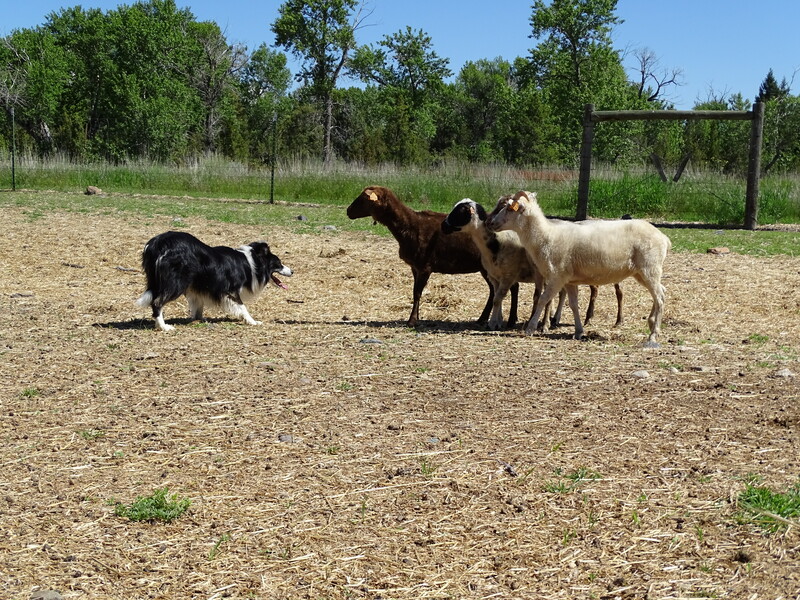 They have been raised on a sheep farm, bum lambs on one side of the pen, chickens on the other, and lots of bones, sheep poop, and ‘farm stuff’ to chew on. These pups are stable, balanced, strong willed, watchful, thoughtful, and an ounce of silliness which I love! There is going to be a lot of power in this little girl! She is already pushy, grippy, and has a lot of punch when we play in the yard. This is my flavor of puppy! It feels so good to be working a puppy again that is my own. And to see the world through new fresh eyes again. She starts our puppy classes in another two weeks or so, but in the meantime, we are having fun introducing her to life as we know it. 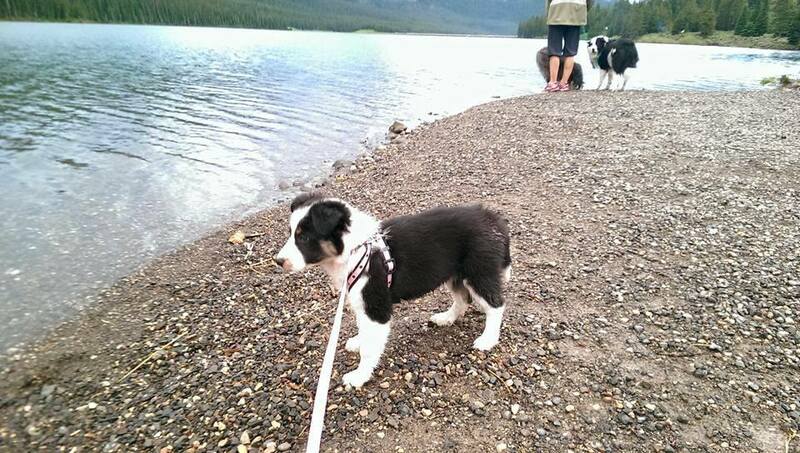 Last night she went on her first walk about up in the mountains. Sherry to be honest, if Story’s breeder hadn’t e-mailed me, this would not have happened. I wasn’t looking or planning on looking. Kind of how I met Story actually. So the connection is there, and it is right when it is right. Carol, thank you, and when you are ready to look again, let me know if you want any help, but it seems like you know some awesome breeders. Bente thank you, we are enjoying this scampy little thing… She has brought a lot of OOMPH back into the house! Enjoy each and ever special moment together. She’s a beauty. Looking forward to watching her learn and grow. 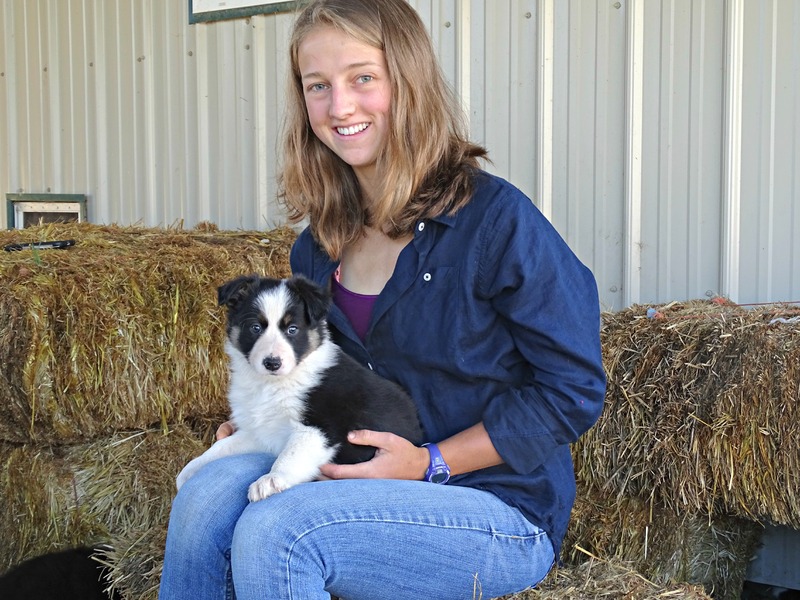 It was a special joy to see the beautiful smile on your face holding your new puppy. If she only knew the wonderful person who was going to train her to be the smartest dog and the most loved. Aren’t puppy’s the most wonderful gift you can have. What a wonderful post to read tonight! I am so happy for all of you! I know that you will enjoy every tiny step, yip, bark, and all that stray dog hair that will fill your lives. (I know of what I speak!) Can’t wait to hear about it all! NIcky, Maui, Koani, and now Tesoro, my newest addition to my own family, a 33 year old rescue quarter horse who is absolutely amazing. Rhumb Line is looking forward to meeting you and working with you in class. Enjoy LA, eat some good tacos for us, and take a picture of some palm trees! This post makes me so happy to see the love between you and that puppy. I can’t wait to watch Rhumb Line grow and prosper and you enjoying every glowing minute! She is absolutely adorable.